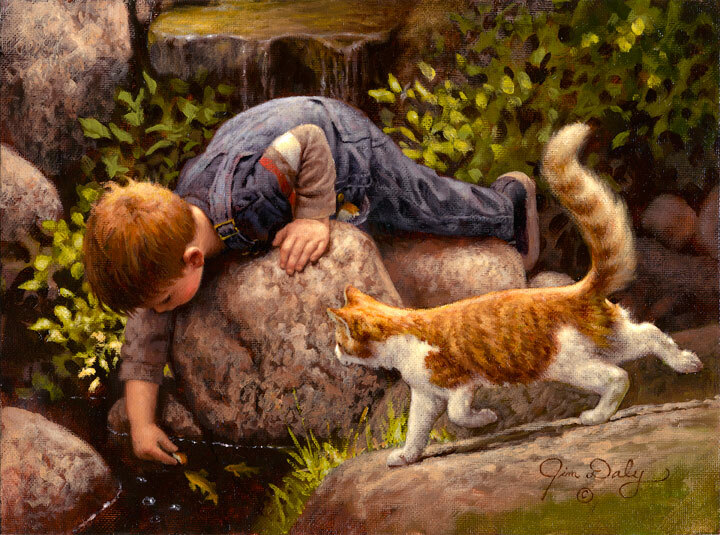 Born in Holdenville, Oklahoma, Jim Daly studied at the Art Center College of Design in Los Angeles, California. His paintings of American genre are represented in many private and corporate collections and have received numerous awards. His paintings also appear in the permanent collections of the Favell Museum in Klamath Falls, Oregon, the U.S. Marshall Historical Society, Fort Lauderdale, Florida and The Old West Museum in Cheyenne, Wyoming. Articles about Jim have appeared in Southwest Art, Art West, Art of the West and American Artist magazines. 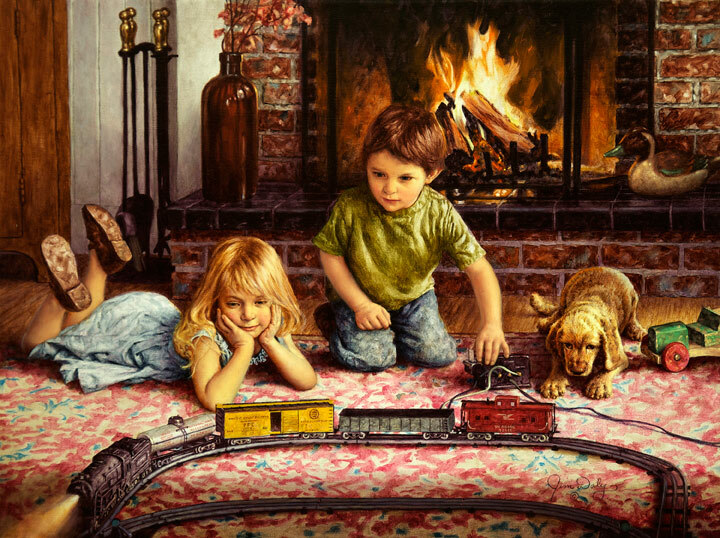 U.S. Art magazine named him a "Hall Of Fame" Inductee in 1992, and listed his limited edition print "Favorite Gift" as the number 20 best seller of that year. Daly was also named as one of the top 20 favorite artists in a U.S. Art magazine poll of gallery owners. 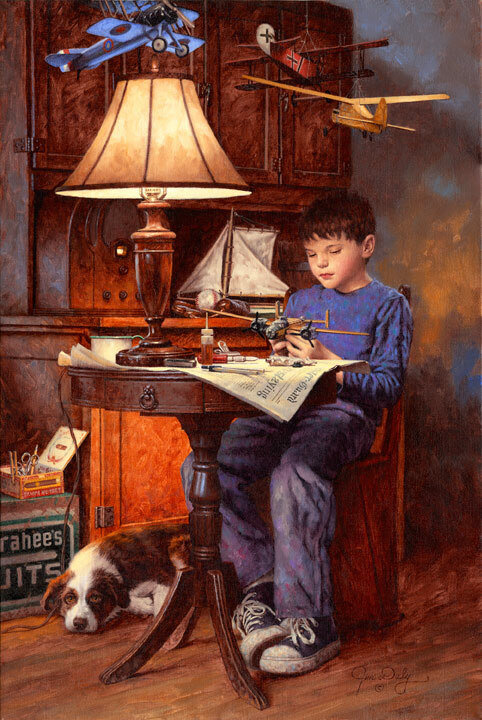 Daly is also listed in Contemporary Western Art, published by Southwest Art. Such publishers as Mill Pond Press and The Greenwich Workshop have reproduced his work in limited edition prints for over 30 years. He’s toured across the U.S. and Canada for Millpond Press giving lectures and seminars about his art and taught at the Scottsdale Artist’s School in Scottsdale, Arizona. He is also an elected member of the Northwest Rendezvous Group of Artist’s. 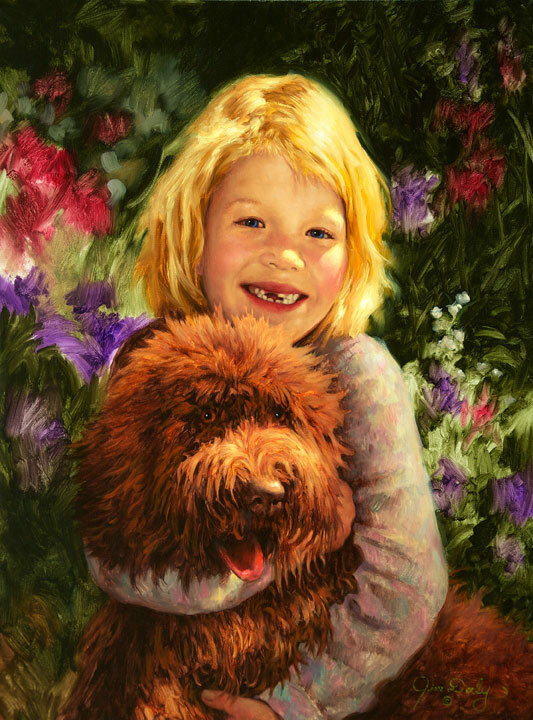 Jim’s paintings were used as illustrations in the following books, “Mother, I Love You” published by Baker House Books and “Sugarbush Spring” published by Lothrop, Lee and Shephard, a division of William F. Morrow (now Harper Collins Publishing). “Sugarbush Spring” was selected by the Ohio Farm Bureau to receive their 2002 Ohio Farm Bureau Federation Award for Children’s Literature. 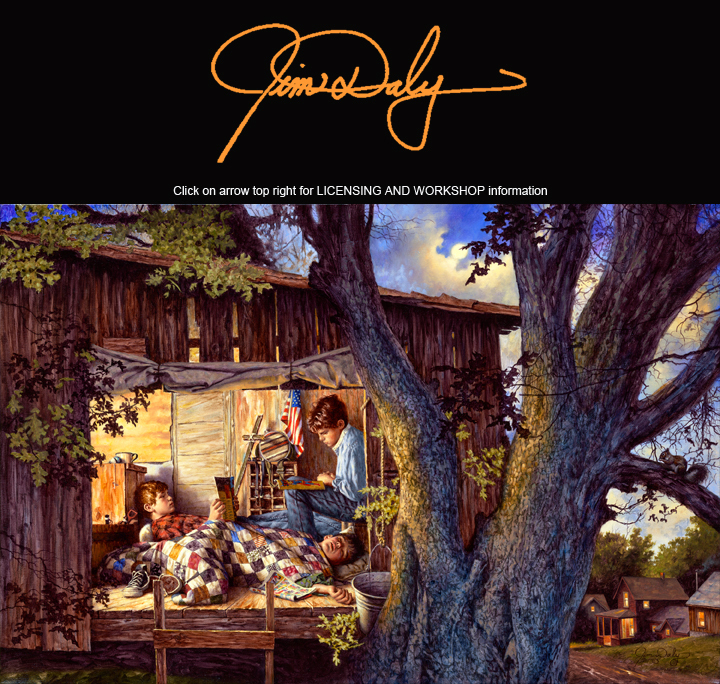 A number of books by Jim Daly have been published by Harvest House Books including “What Little Boys are Made Of” and “Mother Do You Remember When”. Several of Jim’s books have sold well over 100,000 copies and continue to sell. In addition, publishers have printed foreign editions because of their popularity.